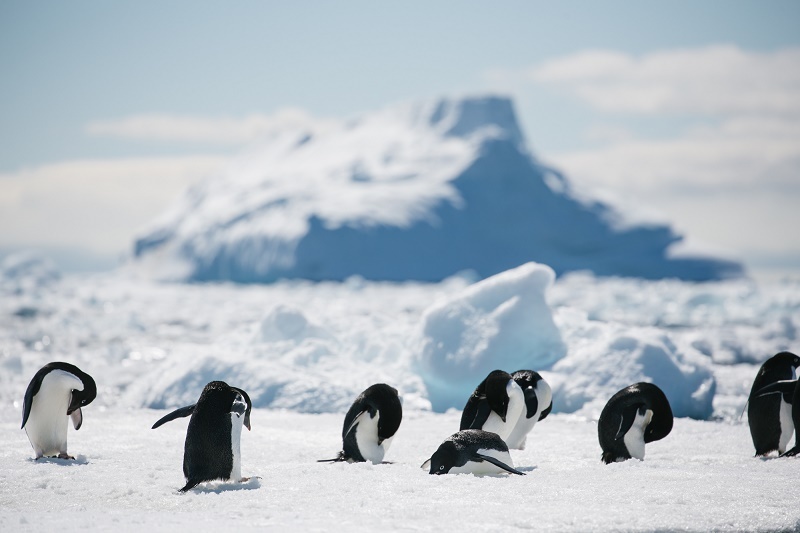 Most of those who travel to the Antarctic would hope to spot penguins, and that certainly proved the case for our own travel adviser on the sixth day of their journey to the region. Read about their exploits before investigating our currently available range of Antarctic adventure cruises here at WILDFOOT. This morning was slightly more overcast than previous days, but certainly of no concern by Antarctic standards. After breakfast, we headed out for a zodiac cruise, where we managed to get our first glimpse of the true Antarctic penguin, the Adelie. 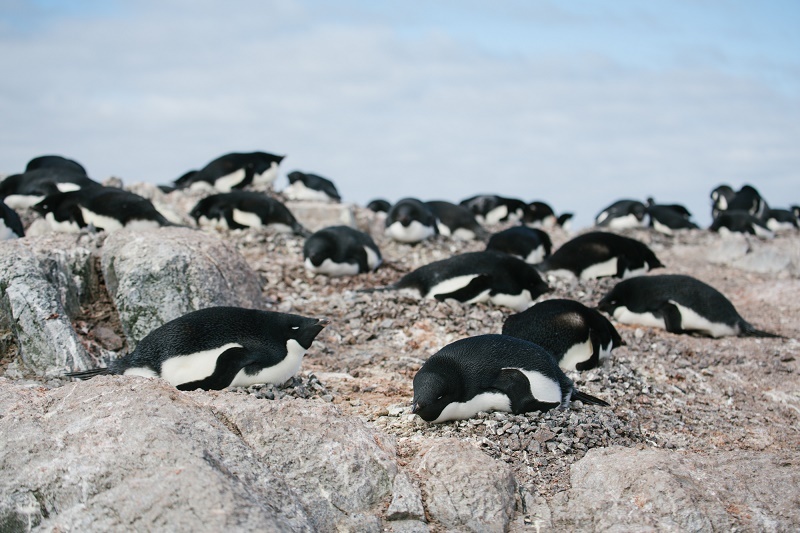 Unlike many of the other penguins you can encounter in this region, the Adelie, is one of the few that is restricted to Antarctic coastal waters and won’t be found at high latitudes. We also managed to spot out first Weddell seal, hauled out on the ice next to a juvenile elephant seal, both relaxing as only a seal can. From here we crossed a shallow channel to make our way over to the Great Wall Station, where we had kindly been invited. 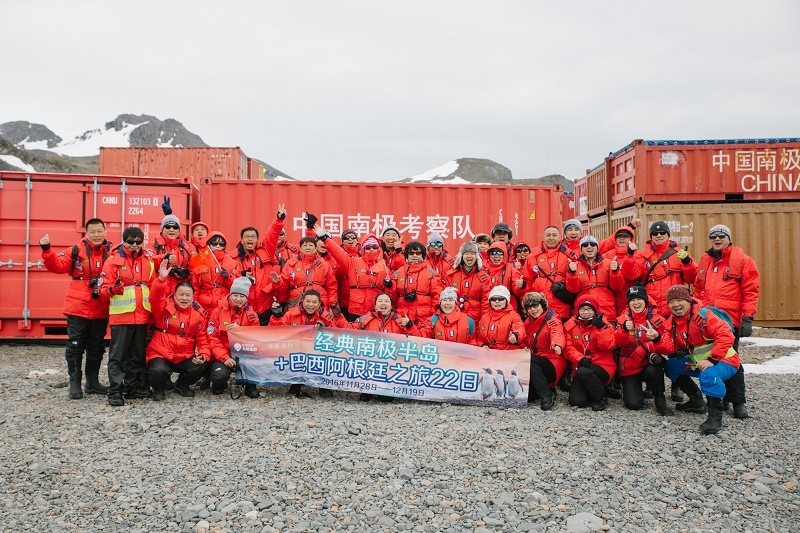 The Great Wall Station was built in 1985 and is the biggest of four stations China is currently operating in Antarctica, it is operated by CHINARE, the Chinese Antarctic Program. Currently the base was running on skeleton staff as it was still considered to be their ‘winter season’ however we were assured that as of the 16th December the place would be a hive of activity as by then their ‘summer team’ of scientists would have arrived. During lunch we sailed south to the aptly named ‘Penguin Island’ where the plan was to explore the rocky coastline and for those feeling energetic there was the chance to climb the Deacon Peak, which is considered a relatively fresh volcanic cone. For many, the landscape of this island came as a surprise, most people expect Antarctica to merely be ice and snow however here we were struggling to find signs of either. 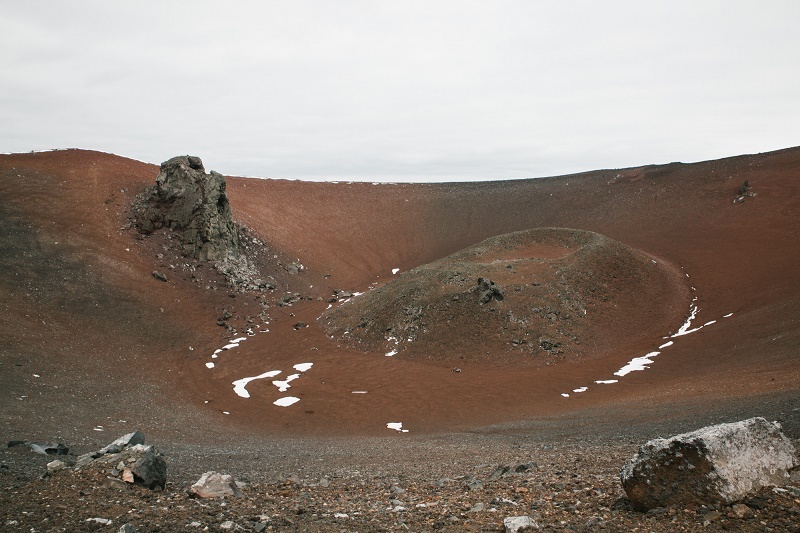 The island consisted of dark volcanic matter which was just starting to host its first lichens, so there was a green tinge to much of the lowlands. For those that made it to the top they were rewarded with a panoramic view which was certainly photo worthy. At the base of the volcano there were lots of whale bones to be seen, a very real reminder of the whaling that was so prevalent in this region in times gone by. 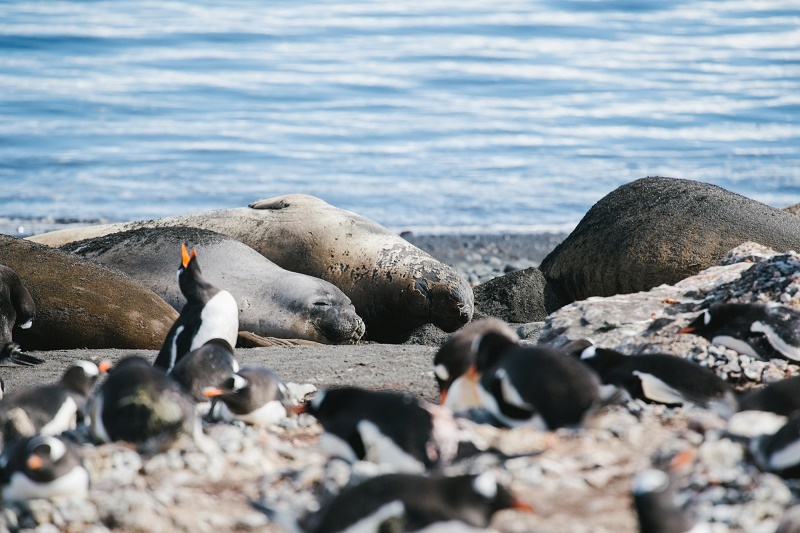 Once again the wildlife was abundant with plenty of gentoo and chinstrap penguins waddling up and down the beach, posing for their adoring public and also a large haul out of elephant seals. For the birders amongst us, we were happy to spot plenty of skuas, Antarctic terns, fulmars, cape gulls, sheathbills, rock cormorants and some nesting southern giant petrels, to which we gave a very wide berth as they will desert their nests at the slightest provocation. Although it is tempting to linger over dinner or head to the bar for a nightcap, if you want to make the most of your adventure, head out on deck at every opportunity. For most people, this is a ‘once in a lifetime’ trip and it goes by far too quickly so seize the moment. The daylight at this time of year is almost 24 hours so you will need to pace yourself, or within a few days exhaustion can set in, but being outside for as long as you comfortably can will pay dividends and it did for us tonight! This evening’s delight was in the form of some humpbacks bubble net feeding alongside our vessel, it is such a joy to watch these ocean giants working in unison at close proximity, a very humbling experience with which to end the day.